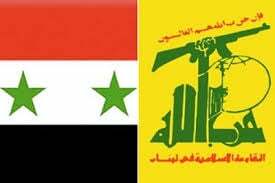 The Syrian Arab Army (SAA) and Hezbollah are pushing towards the Aleppo-Damascus highway in the Aleppo province’s southern countryside. The main clashes against the militants of Al-Nusra, Harakat Ahrar Al-Sham, and Harakat Nouriddeen Al-Zinki are continuing at the towns of Barqoum and Al-Zorba. Separately, Al-Nusra and Harakat Ahrar Al-Sham launched a counteroffensive and attempted to capture the town of Tal Al-‘Eiss. They failed to break the pro-government forces’ defenses. The inability to successfully counter-attack puts the militants in a hard situation in the Aleppo province. Advancing Al-Zorba, the Syrian forces are threatening to cutoff the militants’ primary supply line from the Idlib province to the provincial capital of the Aleppo city. The SAA made heavy gains inside the city of Daraa leaving them in striking distance of the old Daraa border-crossing with Jordan which is commonly referred to as the Al-Jamrak Crossing. The loyalists imposed full control over the al-Manshiyah district and captured several buildings inside the Daraa al-Balad quarter. Terrorists are controlling the both major border-crossings with Jordan: Nassib and Daraa. The recent SAA operations in Daraa are aimed to decrease the flow of weapons and manpower supplied to the militants from Jordan. On Wednesday, ISIS launched a counter-offensive at the village of Maheen in order to recover several points lost to the pro-government forces over the last three weeks. ISIS started operation with capturing the Quraytayn-Maheen checkpoint and the corresponding hill that overlooks the Christian city of Quraytayn. Then, the ISIS forces would seize two more hilltops along the Maheen-Quraytayn road after clashes with the National Defense Forces and the Syrian Social Nationalist Party. As a result of these gains, ISIS was able to reenter Maheen and retake the town. The ISIS counter-offensive has become possible because the Syrian Arab Army’s 120th Brigade of the 2nd Division and the Assyrian “Gozarto Protection Forces” (GPF) had been moved from the Maheen-Quraytayn front to another area of the battleground.